Waits longer than three hours at security checkpoints have occurred at Chicago’s O’Hare…Miami International Airport…and New York City’s John F. Kennedy International Airport. It’s not unheard of for travelers to spend more time getting though airport ­security at US airports than they do in the air. It even has become common to miss flights because of extensive security delays. Enrolling in the “PreCheck” expedited security program administered by the Transportation Security Administration (TSA) was supposed to allow travelers to sidestep these delays—but the PreCheck program has had problems of its own. Travelers who sign up for PreCheck and fly on participating airlines get to use special security lines where several time-consuming steps are not required—they do not have to remove their shoes and belts…or take their electronic devices out of their luggage, for example. In theory, that should make PreCheck security lines a big time-saver. In practice, PreCheck has experienced a huge surge in popularity in the past years, and a growing glut of PreCheck travelers means that its lines sometimes take longer than standard airport-­security lines. What’s more, these days it can take upward of one month just to get the in-person interview that is required by the PreCheck application process. Travelers must pay an $85 ­nonrefundable application fee and pass a security vetting process to participate in PreCheck (TSA.gov/precheck). Global Entry, a government program that lets preapproved travelers speed through customs and immigration checkpoints in more than 70 US and international airports. And if you are a Global Entry member, you also qualify to use PreCheck security lines. To take advantage of PreCheck if you are a Global Entry member, enter your Global Entry membership number (which is in the upper-left corner on the back of your Global Entry card) into the “Known Traveler Number” field when you book flights on participating airlines—or enter it on your frequent-flier profile with the airline. Cost: Global Entry has a $100 application fee. That’s only $15 more than the application fee for PreCheck alone, so Global Entry is the better deal. After approval, renewal is not required for five years, so the annual cost is just $20. You even can avoid this expense by charging Global Entry’s application fee to a credit card that provides a statement credit to cover it. Predictably, these tend to be cards that have high annual fees, however, including The Platinum Card from American Express ($550 annual fee, AmericanExpress.com)…and Citi AAdvantage Executive World Elite Mastercard ($450 annual fee, Citi.com). Clear, a private security-screening alternative to the government-run PreCheck and Global Entry programs. Clear features high-tech, automated biometric authentication—that is, ­fingerprint or retinal scanners—and usually is much faster than all other airport security options. 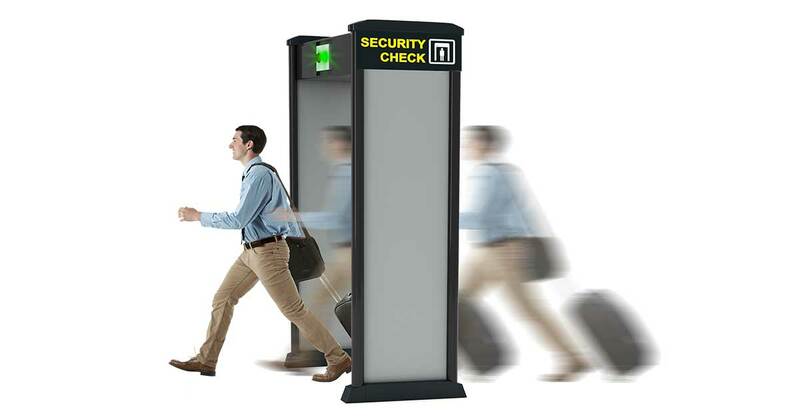 Often there is virtually no Clear line at all…except when those high-tech biometric scanners go down, which does happen on occasion (ClearMe.com). Clear currently is available in more than 35 airports. stadiums and other venues. Because of the cost, most people will find that it’s worth enrolling in Clear only if they frequently use at least one of the currently served airports or, perhaps, if they have season tickets with a team that plays in a stadium that offers Clear. Cost: $179 per year, or $79 to $99 per year for Delta SkyMiles members. Family members 18 and over can be added for $50 each. Family members under 18 can use Clear for free when traveling with a Clear member. This option typically is offered at the airport check-in kiosk or desk when available. Strategy: Check the length of security lines before checking in to a JetBlue or United flight. Pay the extra fee if the lines look longer than is ­acceptable to you. Investigate alternative security checkpoints. Many large airports have multiple security checkpoints—and one might have significantly shorter lines than another. Ask an airport or Transportation Security Administration employee whether there is another security checkpoint where the lines tend to be shorter. It might be a long walk to get to the other checkpoint, but even so, this can be a time-saver. Helpful: The GateGuru app (free, iOS and Android…GateGuru.com) can help you locate alternate security checkpoints and sometimes provide user-generated ­wait-time estimates.